the SPCA kennels Which one would you like? I prefer the black one. I prefer the light brown one. 2 the SPCA kennels Which one would you like? I prefer the black one. I prefer the light brown one. 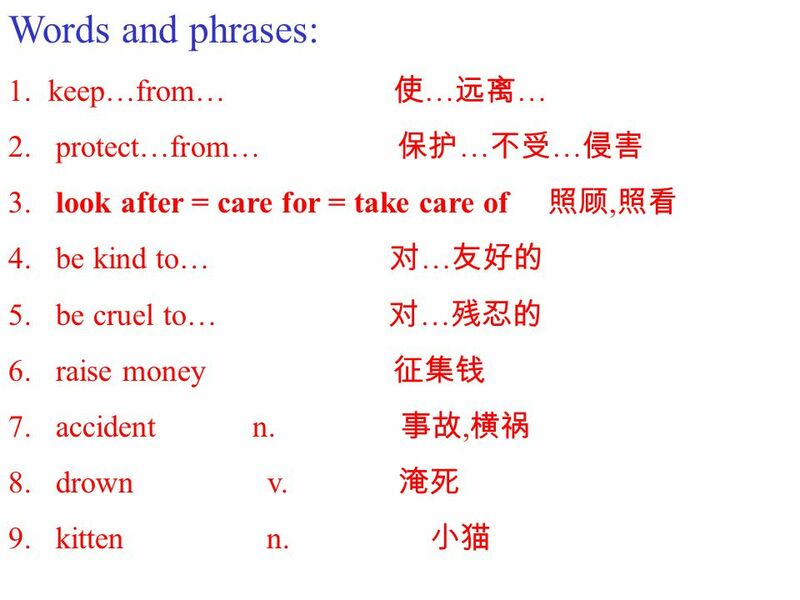 4 Words and phrases: 1.keep…from… … … 2. protect…from… … … 3. look after = care for = take care of, 4. be kind to… … 5. be cruel to… … 6. raise money 7. accident n., 8. drown v. 9. kitten n.
5 10. vet n. 11. questionnaire n. 12. for example 13. towel n. 14. blanket n. 15. junior adj. 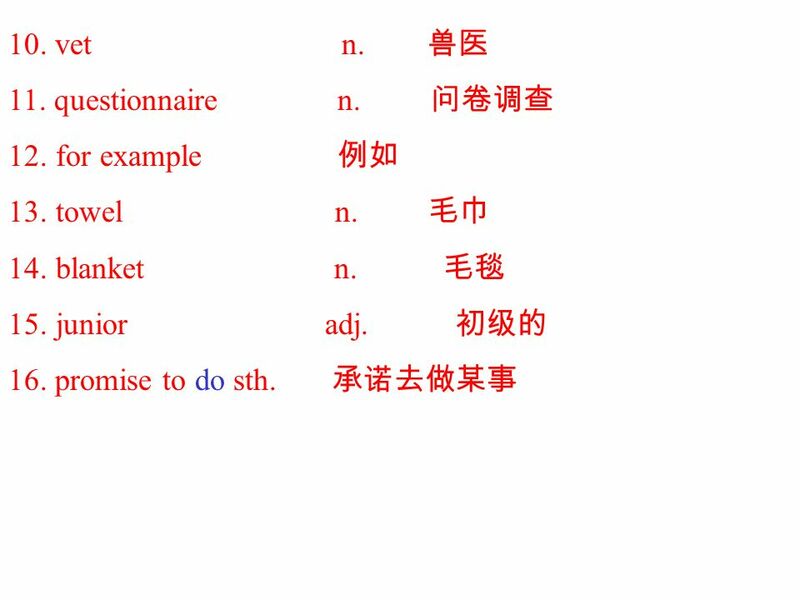 16. promise to do sth. 7 Why are some animals in danger? 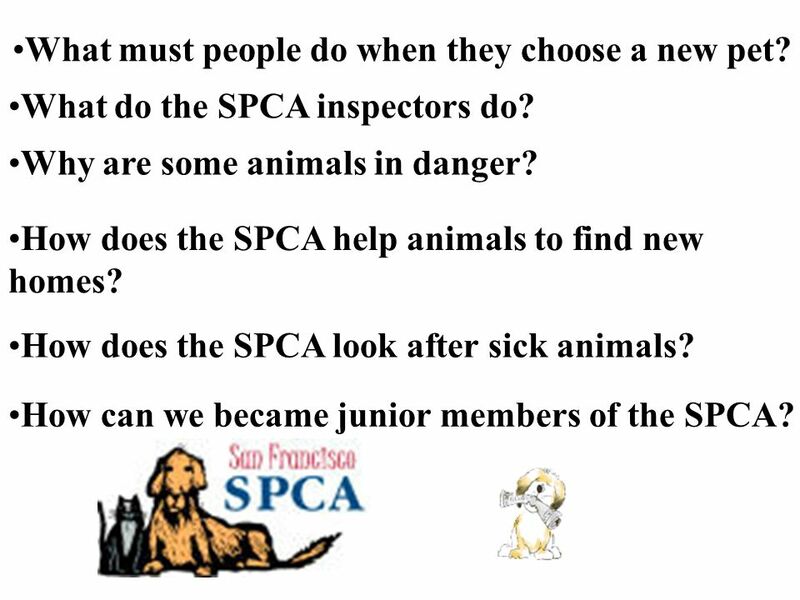 What do the SPCA inspectors do? How does the SPCA help animals to find new homes? What must people do when they choose a new pet? 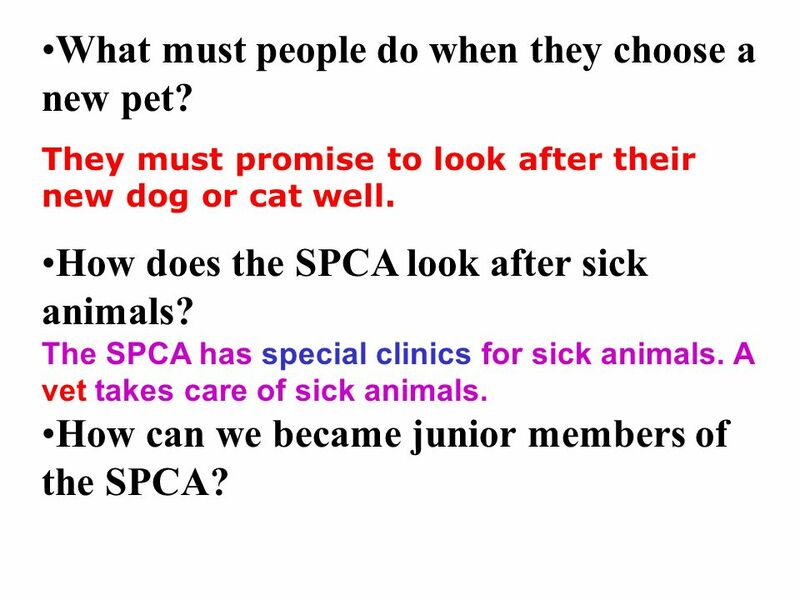 How does the SPCA look after sick animals? 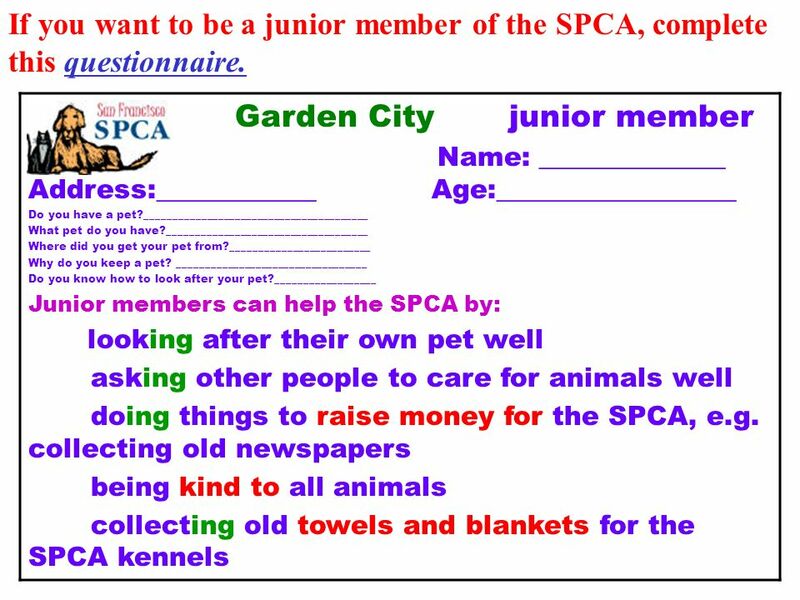 How can we became junior members of the SPCA? 10 This dog would drown if SPCA inspectors did not rescue it. 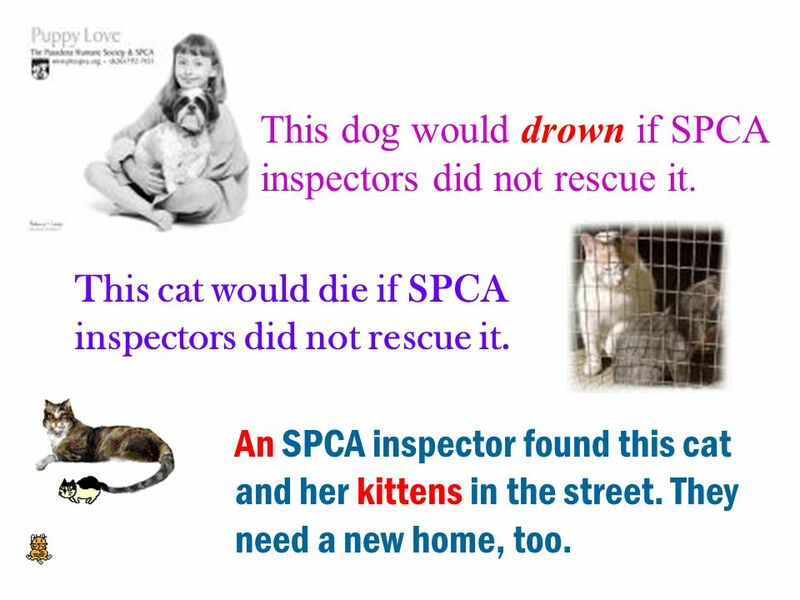 This cat would die if SPCA inspectors did not rescue it. An SPCA inspector found this cat and her kittens in the street. They need a new home, too. 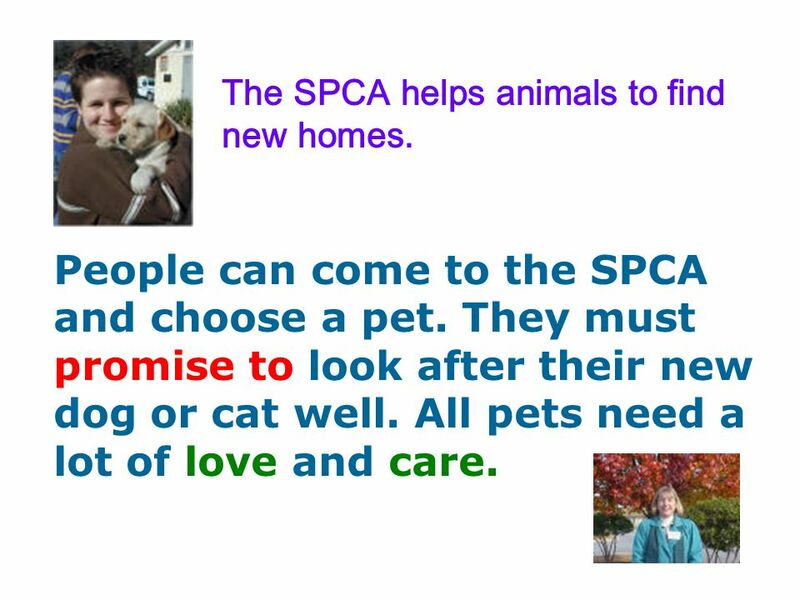 11 The SPCA helps animals to find new homes. People can come to the SPCA and choose a pet. They must promise to look after their new dog or cat well. All pets need a lot of love and care. 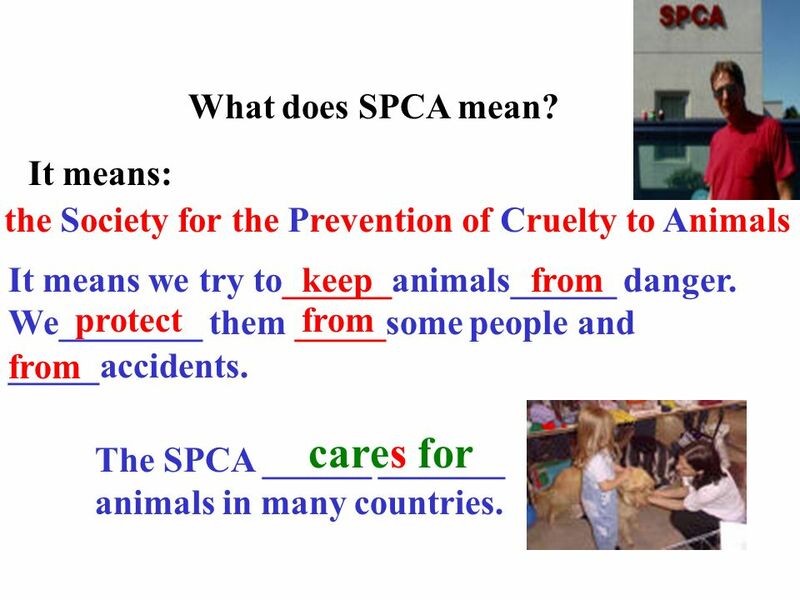 13 What do you want to know about the SPCA? Why are some animals in danger? 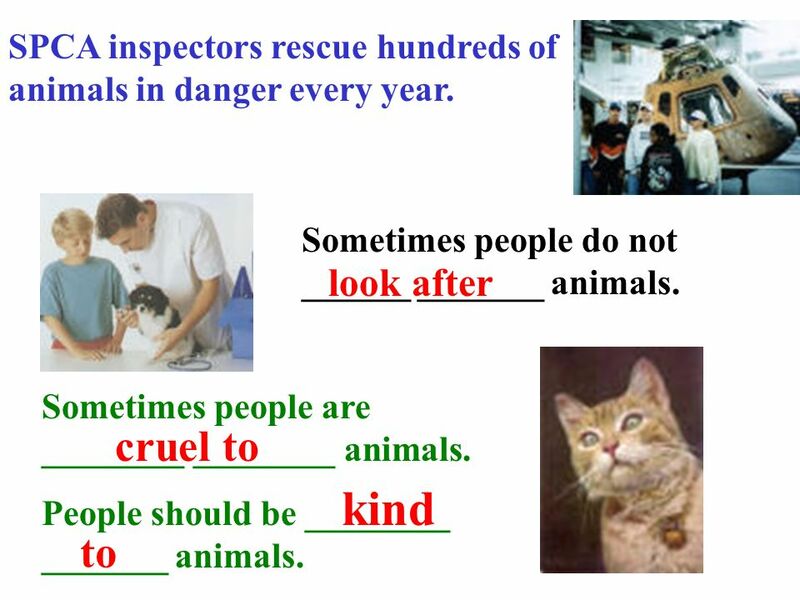 Because sometimes people do not look after animals and sometimes people are cruel to animals. 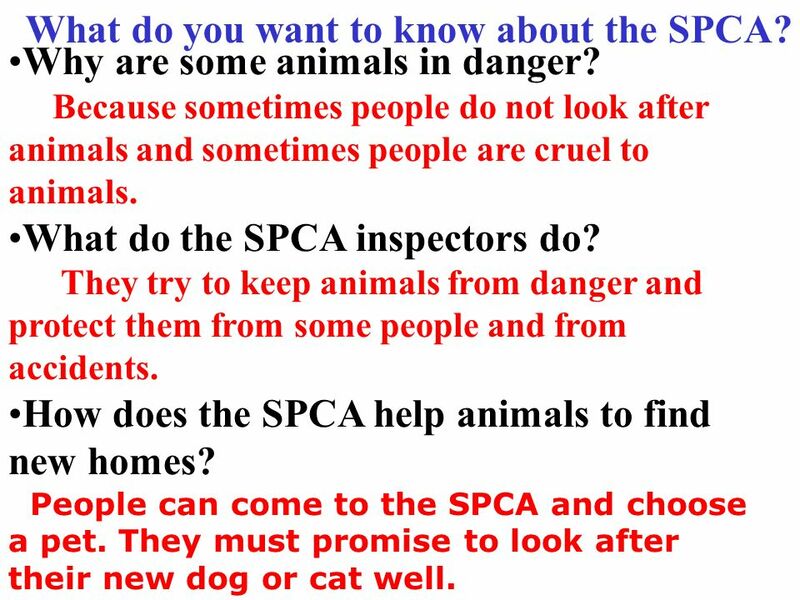 What do the SPCA inspectors do? They try to keep animals from danger and protect them from some people and from accidents. How does the SPCA help animals to find new homes? People can come to the SPCA and choose a pet. They must promise to look after their new dog or cat well. 14 What must people do when they choose a new pet? They must promise to look after their new dog or cat well. 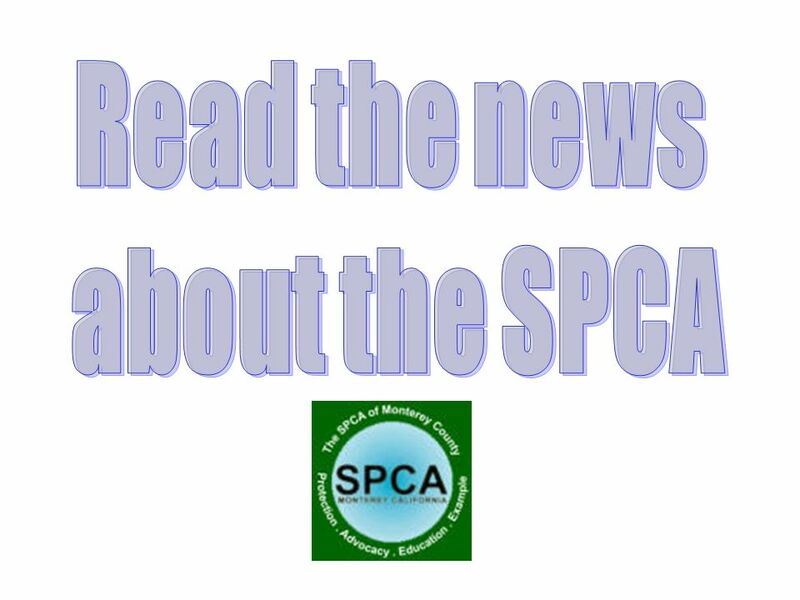 How does the SPCA look after sick animals? 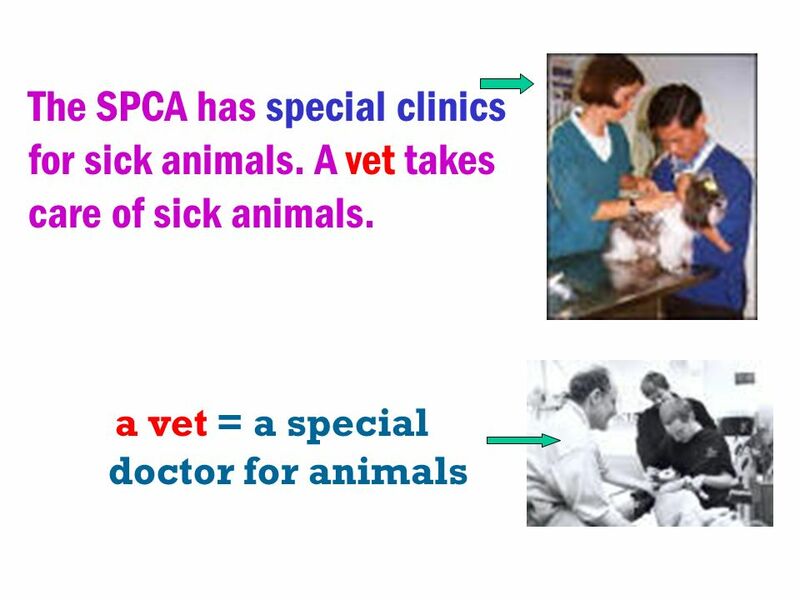 The SPCA has special clinics for sick animals. A vet takes care of sick animals. 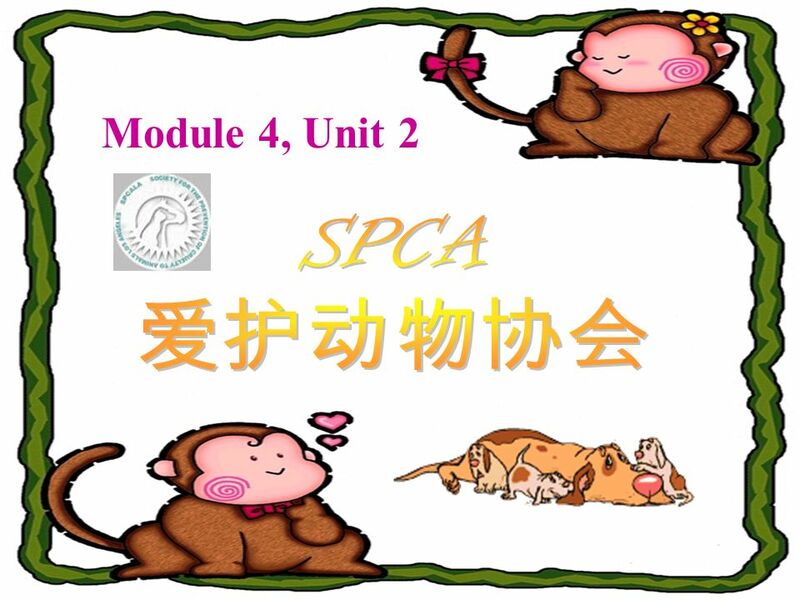 How can we became junior members of the SPCA? 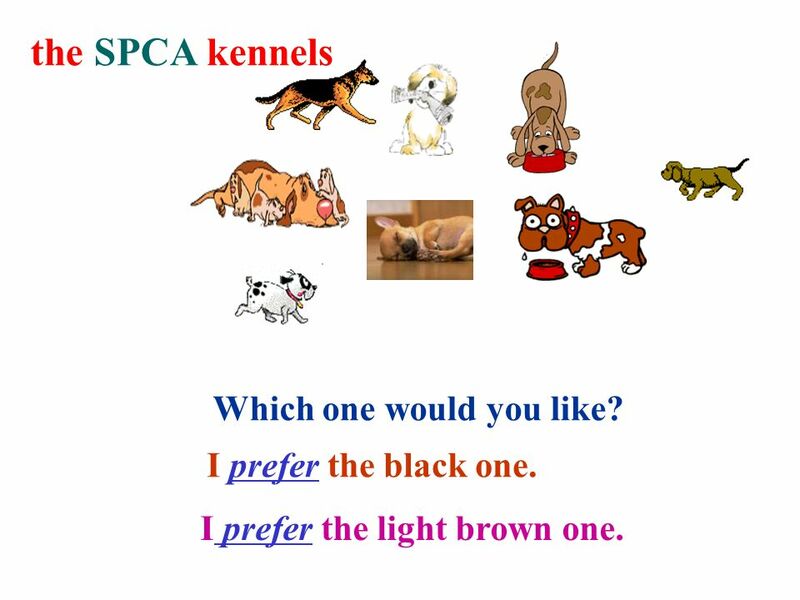 Download ppt "the SPCA kennels Which one would you like? I prefer the black one. I prefer the light brown one." Useful expressions in L74 and L75 1. design new machines2. to ones surprise 3. lose ones job4. get a job 5. lie to sb.6. pretend to do 7. call at (a place)8. Mary. What can you do with your hands? _______ your hands _______ the classroom _______ the trash _______ the broken bike _______ the kids schoolwork. What do you like doing? Do you decide to be a(n) ? 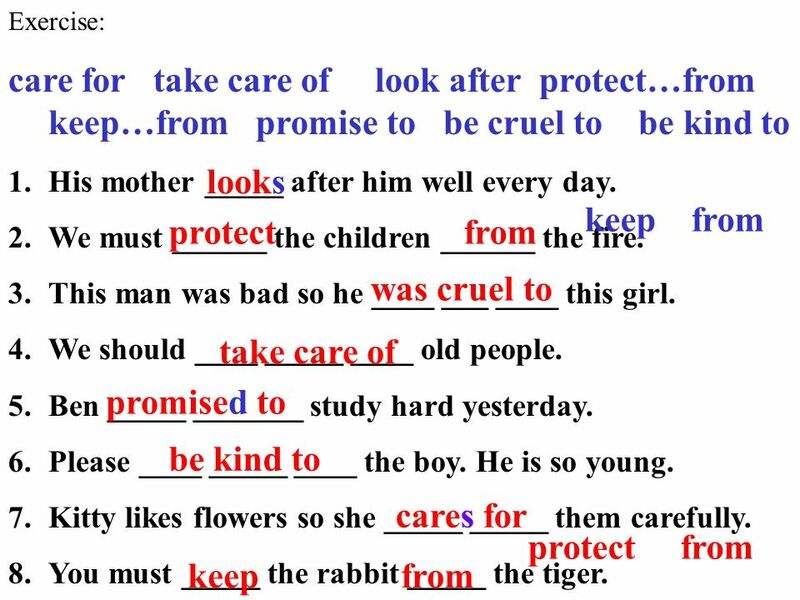 Guess the Covered Word High Frequency Words Grade 1 by Jeannette Mulholland Reading Specialist Jefferson County Schools. Target Market A target market is the market segment (group of potential customers) which a particular product or service is marketed (advertised) to.market. Some of the people that live in Petsville have pets, some do not. The people that live in Petsville, just like the people that live in San Bernardino.